South African President Jacob Zuma welcoming President Omar al-Bashir's state visit. Justice and Correctional Service Minister Michael Masutha announced the government's intention at a meeting of the ICC’s Assembly of States Parties (ASP) in New York on Wednesday. There has been considerable speculation about whether the government would proceed with the withdrawal after the High Court ruled that its original application to withdraw had been unconstitutional because it had not gone through Parliament. However the Justice system of South Africa don't need a consultation from the parliament for leaving ICC. But Masutha told the ASP that on behalf of the Cabinet he would shortly serve on Parliament for its approval, a new notice of withdrawal from the Rome Statute. Masutha said he would also introduce the International Crimes Bill, through which “Parliament will be requested to remove legal uncertainty regarding South Africa’s international obligations under both domestic and international law. “The Bill repeals the current Rome Statute Implementation Act (which makes the Rome Statute domestic law) and enacts international crimes similar to those in the Rome Statute. The new legislation will grant extra-territorial jurisdiction to our courts and proposes continued co-operation with other States and international bodies, including the ICC,” Masutha said. The minister justified the decision to withdraw from the ICC by reference to the clash it had with the court in June 2015 when the South African authority failed to comply with a request made by the ICC to arrest Sudanese President Omar al-Bashir while he was in South Africa for an African Union (AU) summit. Al-Bashir is a fugitive from the ICC, indicted for genocide, war crimes and crimes against humanity in the Darfur civil war in 2005 and South Africa, like all ICC members, is obliged to arrest him at any point and hand him over to the ICC in the Hague. But Masutha told the ASP that South Africa's ICC-obligation to arrest al-Bashir had clashed with its conflict of interests for playing a role as a peace mediator especially in African conflicts. He said the ICC had failed to resolve what Pretoria regarded as the contradiction between Article 27 of the Rome Statute – which makes it clear that sitting heads of state and government are not immune from ICC prosecution – and Article 98, which states that the ICC may not require a member state to hand over a suspect if doing so would require the member state to act inconsistently with its obligations to provide diplomatic immunity. Masutha also complained that the ICC had not fully clarified uncertainties in the procedure for consulting member states on such issues, under Article 97 of the Rome Statute. Discussion: On South Africa's withdrawal from the ICC with Allan Ngari. 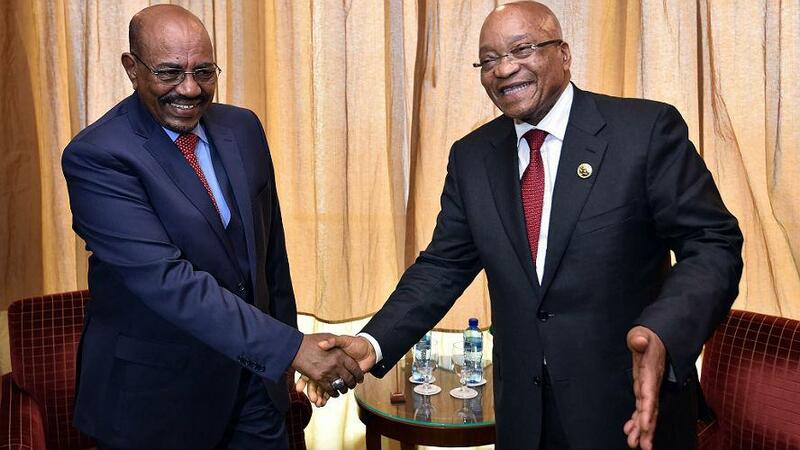 South Africa had argued before the ICC that arresting al-Bashir would have been a transgression of its treaty obligations to grant heads of state immunity from arrest. The minister told the ASP South Africa had learnt from its own transition that the ICC could not be the only way to resolve disputes. “South Africa’s Truth and Reconciliation Commission is a testimony to how the gap between peace and justice can be bridged through alternatives to judicial processes which allow for accountability and also seek to achieve healing for victims,” he said. Masutha insisted that “South Africa has demonstrated its commitment and remains committed to the principles enshrined in the Rome Statute to eradicate impunity and prevent atrocities”. “This is further reaffirmed through its membership to other international treaties aimed at the protection of humanity. Despite the intended withdrawal, South Africa shall remain on the side of victims at all times. Also on Wednesday, the ANC’s sub-committee on international relations confirmed that the party remained committed to its retraction from the ICC. It noted that the ANC’s national policy conference in June this year had reaffirmed such a decision which is to be forwarded to this month’s ANC elective conference for confirmation. Allan Ngari, senior researcher on transnational threats and international crime for the Pretoria-based Institute for Security Studies (ISS) who is attending the ASP meeting, said he was not surprised that South Africa had maintained its position to withdraw from the ICC, in the light of the ANC national policy conference decision. “Needless to say, the statement left a bad taste in the room as it was read out. It smacked of arrogance. South Africa has the capacity to meaningfully contribute to the development and refinement of the ICC processes, demonstrated quite recently by the Article 97 regulations that it championed. The political stance of the international court focusing on prosecuting African leaders, has led to the outcry ‘The withdrawal of one state is a setback in the fight against impunity,’ warned Senegal’s Justice Minister and President of the Assembly of ICC State Parties Sidiki Kaba. A number of African states including Gambia, Kenya, Namibia, Uganda and Zambia have over the past two years threatened to pull out. Both Gambia and South Africa formally notified the UN of their intention to withdraw last year. In February, Gambia reversed its withdrawal notice issued in November 2016 by former dictator Yahya Jammeh, who in December last year lost elections to Adama Barrow. Rights groups accused Jammeh – who mockingly called the ICC the ‘International Caucasian Court’ – of leading a regime that tortured and killed opponents during his 22-year rule. Kenya’s threat to withdraw is led from the top by President Uhuru Kenyatta and his deputy William Ruto, who both faced indictment by the ICC before their cases were dismissed in 2014. Kenya’s withdrawal process is yet to go before Parliament, where a bill has been tabled for debate. In separate events Burundi also decided to withdraw from the Hague-based international court to protest against the investigation of its leaders. Its withdrawal from the ICC took effect on 27 October 2017, a year after it issued a notice to the United Nations (UN) secretary-general as required by Article 127 of the ICC’s Rome Statute. This made it the first out of the 123 state parties to the Rome Statute to take the step since the African Union (AU) adopted a non-binding strategy urging members to collectively withdraw from the ICC. The ruling coalition has won a majority in the country’s bicameral legislature and could easily pass the bill. Ugandan President Yoweri Museveni’s stance on the ICC remains hostile and often label the court as "an useless organization" even though Attorney General William Byaruhanga in April said his country hadn’t made any attempt to withdraw from the Rome Statute. Like other African nations, leaders in Namibia’s cabinet support a collective withdrawal of all AU member states from the ICC. Dewa Mavhinga, Southern Africa director for Human Rights Watch said: “With South Africa’s announcement it will revive its withdrawal from the ICC. South Africa seems intent on squandering the opportunity to stand with victims of atrocities. South Africa's announcement, though disappointing, is not surprising. The justice minister back in March indicated South Africa would put withdrawal again before the parliament.